Would you rather your expensive wool blend carpet was cleaned by a professional carpet cleaning company in Milngavie? Call the experienced carpet cleaning service in Milngavie today for your free carpet cleaning quote. Alba Floor Care provides a reliable, fully insured, quality carpet cleaning service in Glasgow and across all surrounding towns and villages. 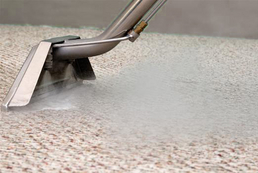 Choose Alba Floor Care to ensure you receive the best carpet cleaning in Milngavie, Glasgow. All our carpet cleaning professionals in Milngavie are trained to advise you on the best carpet cleaning method to suit your carpet type and condition. Thats why we offer all our Milngavie carpet cleaning customers a free carpet survey and free written quote. If you require a carpet cleaner in Milngavie, call us today and we will arrange for one of our technicians to pop round at a convenient time to measure up the areas you would like cleaned. We will then leave you with a fully itemised written quote. When we survey your carpets we are looking for any staining that may require treatments, we check the condition of the traffic areas and can recommend solutions to problems like draught markings around doors and skirting. If you would prefer a quote over the phone this is possible if you know the room sizes and the carpets are in good condition with no staining or unusual marks etc. We are cleaning carpets in Milngavie on a daily basis so it’s always easy to find a suitable time to call. Try our carpet cleaning service today. Our professional fabric care technicians can care for your upholstery and deep clean all upholstery items back to the condition they were in when new. Our upholstery deep clean system was developed over the years and perfected in-house. Our cleaning technicians are trained to deep clean your upholstery using minimum amounts of fluid. This means your upholstery can be cleaned and be back in use the same day. Ask about our rapid dry upholstery cleaning service in Milngavie. If your looking for a quality carpet cleaner in Milngavie or a reliable, trained upholstery cleaning company in Milngave, Drop us a mail or give us a call and we will arrange for a free quote to be carried out at time thats convenient to you. We are open 7 days a week from 08.00am until 21.00pm. We think we are the most convenient carpet cleaning company in Milngavie, we want to know what you think. Milngavie is a town in East Dunbartonshire. Neighbouring Bearsden and nestled at the beginning of the West Highland Way. We are proud to serve Milngavie with our carpet cleaning service.